Ideal for the ultimate "grill-seeker," these unisex aprons are made from 100% cotton and feature a handy adjustable neck strap with contrasting trim. So go ahead, why not add a little 'spice' to your cooking! 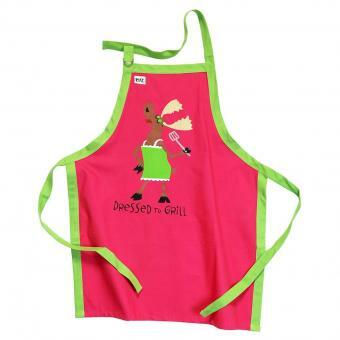 These fun aprons are the perfect way to serve up a hearty helping of smiles.